We will make a safe bet that your firm has not yet made the transition to Building Information Modeling (BIM). That’s OK – 4 out of 5 companies have not. There are hundreds of reasons to not adopt BIM – both business and technical. You can probably recite quite a few of these reasons without our help. We’d like to make a proposal: don’t fight the BIM wave. A BIM is a virtual, digital representation of your building. As you make your design choices and add information to the BIM, it becomes a progressively richer source of design data. It represents the concept of a single source of truth about the project. Even though 2D drawings are the ultimate output of any building design project, creating them sheet-by-sheet in 2D CAD is an error-prone and archaic workflow. Managing hundreds of drawing sheets manually is a frustrating and time-consuming process. Managing the dependencies between these drawings is even more daunting. In BIM, The Building Information Model itself is the generator of the drawing sheets that make up your project’s construction documentation. The value of this 3D to 2D workflow cannot be overstated. Everything is integrated into a proper Building Information Modeling workflow – from schematic design through construction documentation. This level of drawing automation and synchronization can be exceptionally liberating. You may have heard that there’s a lot of up-front work in creating a BIM that adds time and effort to a project. While it’s true that a BIM workflow is different from a 2D workflow, the effort you invest in making a BIM reduces the potential for errors and expensive change orders. A key part of the BIM value proposition is reducing the cost of drawing sheet sets while improving their accuracy. 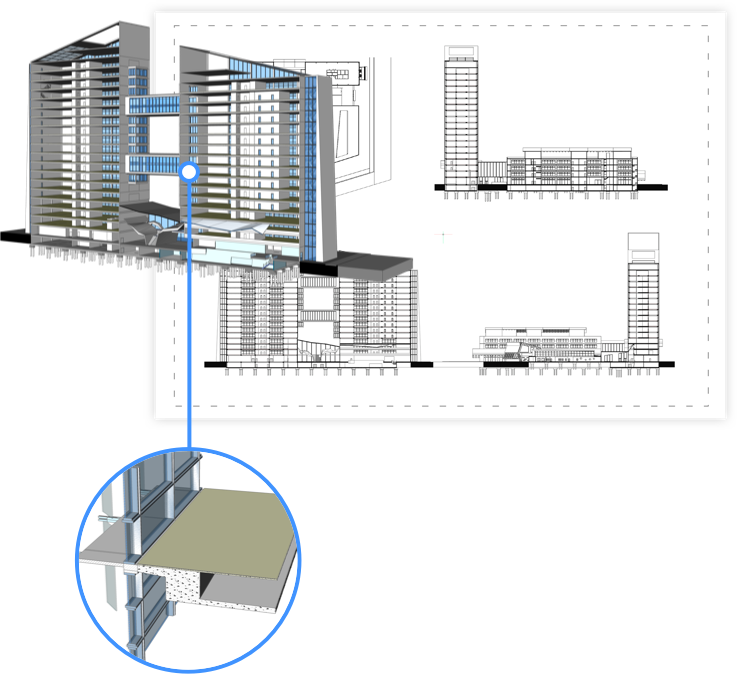 In the next post, we’ll go into detail comparing 2D drafting methods to a modern Building Information Modeling workflow. We think that you’ll breathe much easier when you see how easy it can be to make the move to Building Information Modeling. We at Bricsys believe that our BIM value proposition can deliver real business results to any firm, anywhere. It’s not about how much you could spend, or how many consultants you can engage. In our view, a very familiar CAD interface is the best place to start. If you already know 2D CAD, you already know 80% of BricsCAD BIM. Why make your sketch in Sketchup, your model in Revit and your shop drawing in AutoCAD ? Do it all in the familiar CAD interface with BricsCAD Shape, BricsCAD BIM, and BricsCAD Classic. And with BricsCAD you get a bonus: Exchange your BIM not only in IFC, but also in DWG ! Thanks, Jan – couldn’t have said it better myself. 🙂 Cheers! 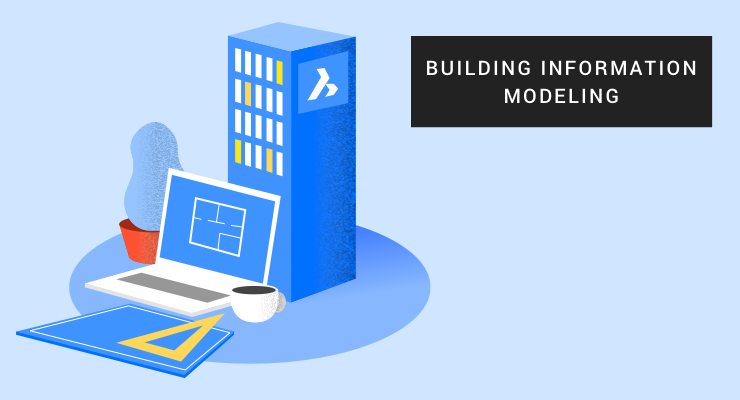 I appreciate the value of BIM, however I expect the vast majority of Bricscad users are not working on projects that require the amount of information and interconnectivity provided by using BIM. Even if I were to use BIM it’s value is diminished once the project is handled by others who have no association to BIM. Once again we have to encourage others to invest in another product and their time when the tools they currently posses work for them. I understand the forward imagination of those that see this as some “down the road” time saving tool but how much of the technology that has been adapted over the past ten years is either decrepit, not supported or just plain useless now. Think about it for a second, you have a tool you can’t sell. Maybe it’s just not worth the investment. Bricscad was a choice to work faster and more economically-why mess with that? credentials. It’s something I’ll begin training in, but the thought crossed my mind as to whether BIM might actually be applicable to such an application. It’s all new to me as I worked in the AE industry, but when I discovered BrisCAD I purchased BIM as well as saw the potential. Can anyone comment on my question?